Sebastien Buemi hopes his Renault e.dams Formula E team can find “something abnormal” to explain his issues during the inaugural Rome ePrix. Buemi ran sixth in the early stages of the race before rising to third after following the same pitstop strategy as eventual race winner Sam Bird. But the 2015/16 FE champion faded back to sixth by the finish as he struggled with the energy levels in his second car. “I felt that the car was handling well and I was only five seconds behind Bird after the first stint,” Buemi said. "But we consumed too much energy and we have to find out what didn’t work. Renault team boss Jean-Paul Driot explained that Buemi’s battles in the pack throughout the race had hampered his energy management, and that team felt an underlying issue had made the problem worse. 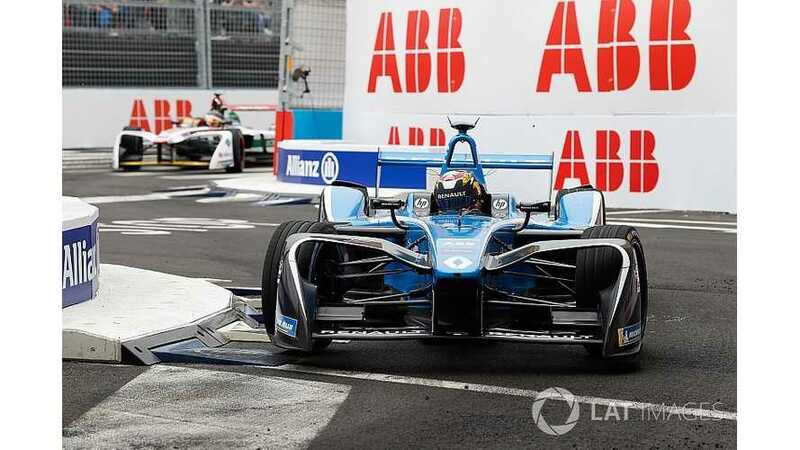 “We had the same strategy as Bird but because Buemi was obliged to attack a lot with Oliver Turvey and defend with the others, he consumed quite a lot more than previously planned and so we couldn’t do one more lap ,” Driot told Motorsport.com. “And on top of that Bird was ok until the end but we had consumed quite a lot and after we were obliged to fight, Bird was always on clear track – so it was easier. “This is why we had some problem and we were also lacking energy – we don’t understand why, so we are analysing the data. “In Punta del Este it was working well, here, the energy on the second car, there might be a problem because it’s not normal. Even under the full course yellow Evans was coming back– so there is something wrong somewhere. Driot added that had Buemi started higher up the order than his fifth-place grid spot, Renault may have adopted a different strategy that could have given its driver more power to use later in the race. “Buemi made a slight mistake during the superpole, but I’m glad that he was fighting for the Super Pole,” he said. “I don’t think he would have gone over Rosenqvist who was really quick. But we should have been on the front row and the race, if we had been up front, we might have changed our strategy and do one more lap like we do sometimes.